I decided to test Geos using the Chameleon 64. I figured this was a good benchmark because GEOS is difficult to get running on anything short of real floppy drives. I got it working well on the uIEC. Surprisingly, it was pretty easy to get working on the Chameleon. I just assigned the primary GEOS disk to Drive 1 and the Apps disk to DRIVE 2. 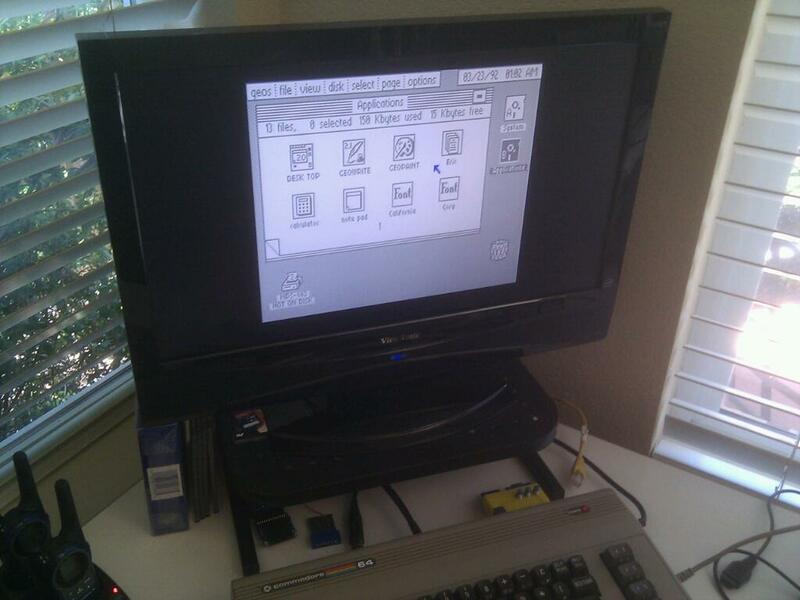 I loaded GEOS via the Commodore prompt, not the Chameleon file manager and I was off to the races. Now I will try to get the emulated GEORam to work. I have been trying to get geos to work on my chameleon, but I tried to do it through the file manager so I guess that was my mistake. Do you just assign drive numbers to the virtual drives in the options and then do the standard procedure through basic? I think by default the drive numbers aren't assigned.. Well, this definitely helps me out. Thank you! That's exactly what you do. In the Chameleon options, just assign drive numbers and then mount the GEOS images. Back out to BASIC and load"*",8,1. Should work great! Let me know if I can help further.